At the IMM, a vacuum induction furnace for melting novel alloys is operated. We have a vast wealth of experience with alloy systems based on aluminum, copper, magnesium, nickel, iron, various intermetallic phases and super alloys. On condition that all raw materials are pure enough, the alloys can reach a purity up to 6N. 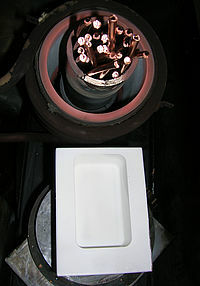 The common quantity of melt amounts to 4 kg (heavy metal) resp. 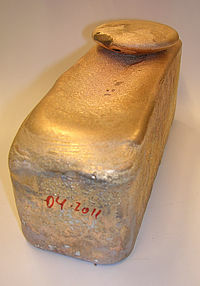 1 kg (light metal). The installation has a closed vacuum chamber and can be run under various inert atmospheres or high vacuum.